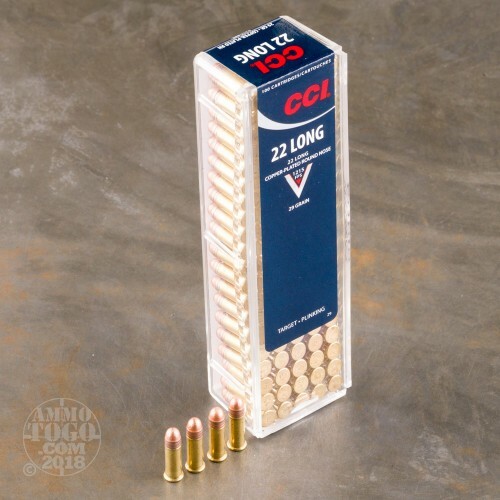 This is 22 Long CCI High Velocity 29gr Lead Round Nose Ammo. 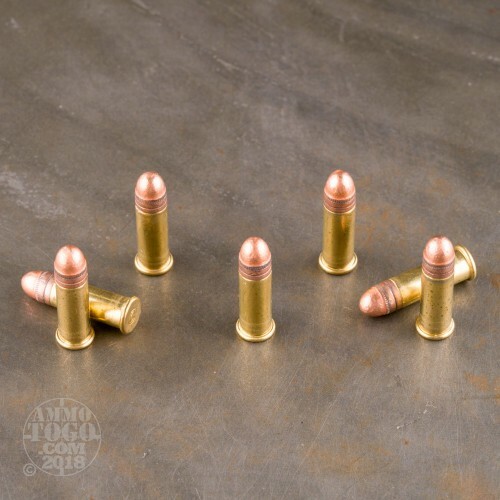 Some rimfire guns weren’t designed for 22 LR and need .22 Long ammo. We help you keep those fine old guns in service with .22 Long ammunition. 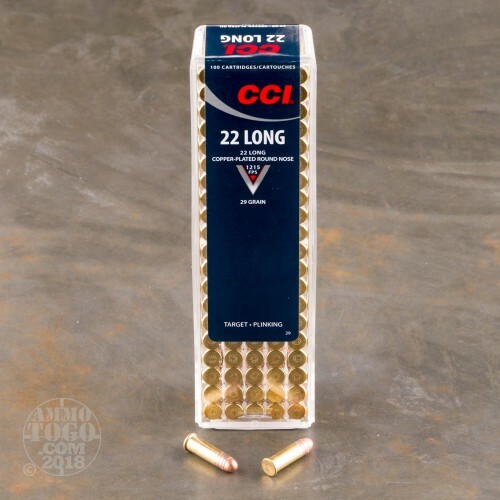 This ammo is made to the same standards of quality as 22 LR products. The 22 Long 29 gr copper plated round nose bullet travels at 1215 ft/sec. With its, clean-burning propellants this helps keep actions cleaner. 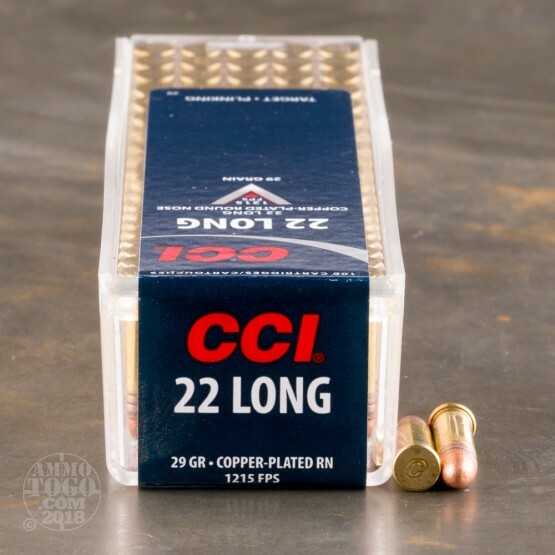 The .22 Long is the second oldest of the surviving rimfire cartridges, dating back to 1871. This ammo comes packed in 100rd. plastic boxes.